Bringing the fun of casinos into your home can be a blast. Whether it is for a casino night or simply for a small gathering with friends and family, card games are a great way to bring the action of casino games into your home. The key to making something fun and enjoyable is that it has to be easily understood and is communal. Playing a game that requires someone to manage it is simply not fun for the unlucky individual who got stuck working or dealing the game. For example, playing keno at your home would not make sense. Casino games at home should instead be something that everyone can play. Below are three examples of casino games to make at home that fit that bill. The granddaddy of card games and a staple in the casino games space. 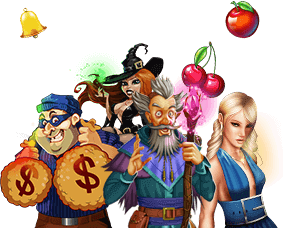 It also is the easiest of the casino games to translate to home play. There are many variations of poker, but the most popular right now is Texas Hold’em. The concept of the game is simple; in fact, many gamblers feel it is the easiest to learn (although difficult to master). The game starts with the dealer dealing everyone two cards down. There is then a round of betting, followed by a discard and a “flop” of three cards dealt face up. Another round of betting if then followed by a discard and the “turn”, or one card dealt face up. There is another round of betting followed by a discard and the “river”, or a final card dealt face up. The object is to build the best poker hand comprising the five community cards and your two hold cards. This fun game that can played as a cash game or tournament style. There are variations that include Omaha (four hold cards), 5-card draw, or 7-card stud. Wild cards and other variations can be added for fun. Clearly poker is one of the most popular casino games at home. Another widely popular and recognizable casino game is blackjack. This game translates to the home circuit more difficultly than poker does, but it can still be done. Basically, blackjack is a race to 21. A player is originally dealt two cards and will make a choice to hit or stand based on where their total is, in relation to the dealer. The object is to be closer to 21 without going over than the dealer is. In casinos, the dealer has to play by a set of rules and can use no judgment. Should the dealer have less than 17, they must hit. If they have more, they must stand. Unlike poker, the players at the table aren’t in competition with each, but rather just the dealer. For this to work at home, you need someone, typically the host, to serve as the “dealer” and play by the dealer rules in a casino. This can get expensive for them, so it is wise to place caps on wagers. Baccarat is an interesting casino game, and is typically played by higher stake players. However, for a fun change of pace, it can be played a t home. Basically, it is game in which gamblers are wagering between who has a better hand, the “player” or the “banker”. A “tie” is a third option. This game is a bit more involved and advanced, however if the group has experience playing it, there is no reason it can’t make for a great evening. Colin Jones is a born and raised Chicago writer specialized on topics related to the casino and gambling industry. Having years of experience on the field, Colin will keep you in touch with the latest news and advances on the casino industry.